Morrisons has announced it is to bring back a ‘farm shop style’ pick-your-own local eggs stand in stores across the UK and Alford-based family firm LJ Fairburn has confirmed they are supplying all the eggs in five Lincolnshire Morrisons' stores taking part in the initiative. In a move which seeks to boost local produce and harks back to by-gone days of visiting the small-holding to pick and pack eggs to take home, the pick-your-own eggs from Fairburn’s will all be large (63g – 72.9g) and free-range, direct from their family-owned farm. Costing 22p each, £1 for six, or £5 for 30, customers will be able to pick their own eggs based on their size, colour, shape and speckles. The opportunity to purchase just the amount of eggs needed will also cater to smaller or larger households to help reduce waste: currently dairy and eggs account for nine per cent of food thrown away in the home. LJ Fairburn is one of the UK’s largest independent egg producers, supplying over 17m British Lion-approved eggs a week across the UK. 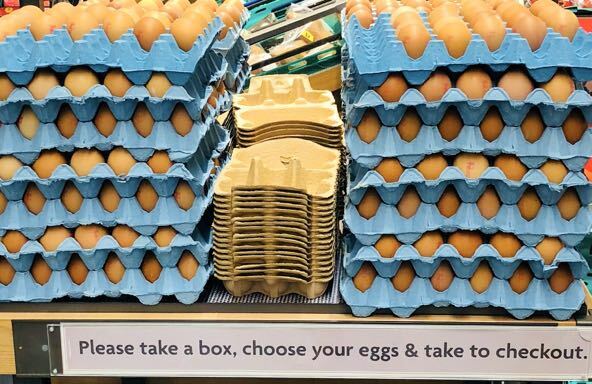 The company already supplies boxed eggs to many local outlets in Lincolnshire, but this is the first time it will be part of such a large-scale ‘pick your own’ scheme with a major supermarket chain. The free-range egg stands will also be available in Morrisons' stores in Yorkshire, Cumbria, Somerset, Bedfordshire, Wales, Sussex, Leicestershire, Durham and Kent. A total of 200 stores are set to take part in the scheme, with eggs sourced from local farms and with one of LJ Fairburn’s third-party producers supplying its Rutland eggs to eight stores in Leicestershire and the surrounding areas too. Robert Hofmann, Egg Buyer at Morrisons said: “Some customers told us they wanted to select their own eggs – to ensure none were cracked and to buy the exact amount they needed.